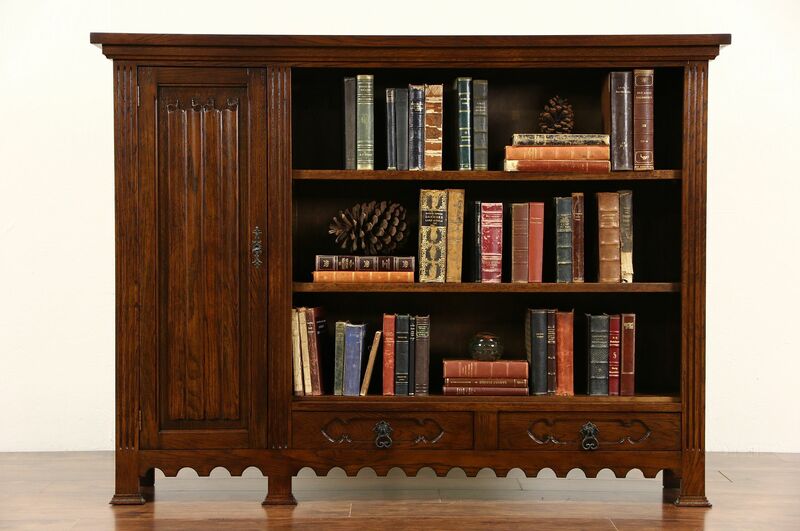 A solid oak 1920's era bookcase from Holland has a door with hand carved "linenfold" panel and a working lock. There are two lower drawers on this Dutch antique furniture, wrought hardware is original. The renewed finish is in excellent condition. Dimensions are 63 1/2" long, 14" deep and 47" tall.